However, the website does not describe these policies. The only way to obtain information is to call the company. Compare online health insurance quotes from active insurance providers by entering your zip code into the toolbox now! In addition to offering medical insurance, Transportation Insurance Company provides liability insurance to small, medium, and large businesses. Transportation Insurance Company offers a variety of liability insurance depending on your company’s needs. For instance, Transportation Insurance Company offers travel insurance through a policy known as the “Passport Access.” The policy protects your employee when traveling internationally. You can view the brochure online or visit www.CNACentral.com. Transportation Insurance Company also offers CNA NetProtect, which is an insurance plan that protects a company’s Internet information and website. Property, casualty, and risk control policies are also available. 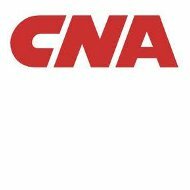 Workmen’s compensation is another form of insurance offered by Transportation Insurance Company under the CNA parent company. Transportation Insurance Company insures employees in the United States as well as those outside of the United States. The plan is under the WorldPass policy and is available for medium and large size businesses. The workmen’s compensation policies provide medical coverage through in network providers. The plan also provides a return to work program, which is a plan, developed to get your employees well faster and back to work. The plan also provides alternatives to returning to the same job if the employee is unable to do so. The parent company, CNA, also provides downloadable resources to assist policyholders and businesses in finding providers, setting up plans to prevent injury, steps to take after an employee is injured, and steps to take to get them back to work as soon as possible. If you are interested in a workmen’s compensation policy or on implementing a return to work program, please call CNA at 1-866-262-0540. However, the website does not explain these policies. There are only phone numbers provided for information or claim submission. You can find a Transportation Insurance Company agent on the CNA website. In fact, you can find an agent by choosing your state or entering your zip code into the toolbox provided. Once the information is submitted, all of the agents within your state or zip code will appear. The agency location, phone number, fax number, and website will be on the page for your review. Transportation Insurance Company careers can be viewed on the parent company’s website within the career section. You can view opportunities by career field, training programs, location, or college recruiting links. Job openings provide a link to apply or add to your cart to apply at a later date or time. You can also ask for assistance by emailing the company at [email protected]. Transportation Insurance Company claims can be submitted online by choosing the type of insurance you have a policy for and then filling out the requested information. If you prefer to email your information, you can do so by sending an email to [email protected]. The numbers listed above within the claims section can also be used to receive information regarding benefits on the policies mentioned above. You can also call the headquarters at (312) 822-5000 or email the company at [email protected]. Under the CNA umbrella, Transportation Insurance is rated “A” according to A.M. Best www.ambest.com. Compare and receive online quotes from active health insurance providers by typing your zip code into the free rates tool now!